All too often, content marketers act like Don Quixote, mistaking content volume for content quality. We churn out copious volumes of “me-too” content, and then wonder why it gets ignored by most of the people we want to influence. We assume we know what our customers’ challenges, needs and aspirations are, but we miss them by a mile. Still, we charge forward like Don Quixote, convinced of the nobility of our quest. Are you tilting at windmills with your content? Let’s try an exercise. Open your company’s blog in a browser tab, and those of your competitors in other tabs. Now imagine the company logos and color schemes were scrubbed from each of these web pages. Would you be able to tell them apart? In most industries, the answer is a resounding NO! If your company is like most B2B firms, you’re producing blog posts, newsletters and other content that looks and reads remarkably like what your competitors are publishing. But if you can’t tell your content apart from that of your competitors, then neither can your target audience. That’s a big problem! What assumptions are you making about your target audience that could be skewing your perceptions of their needs? Imagine you have no prior knowledge of your target audience. How would you accurately learn about their needs? In other words, return to a state of “beginner’s mind,” free of any preconceived notions about them and their needs. What other perspectives should you consider? 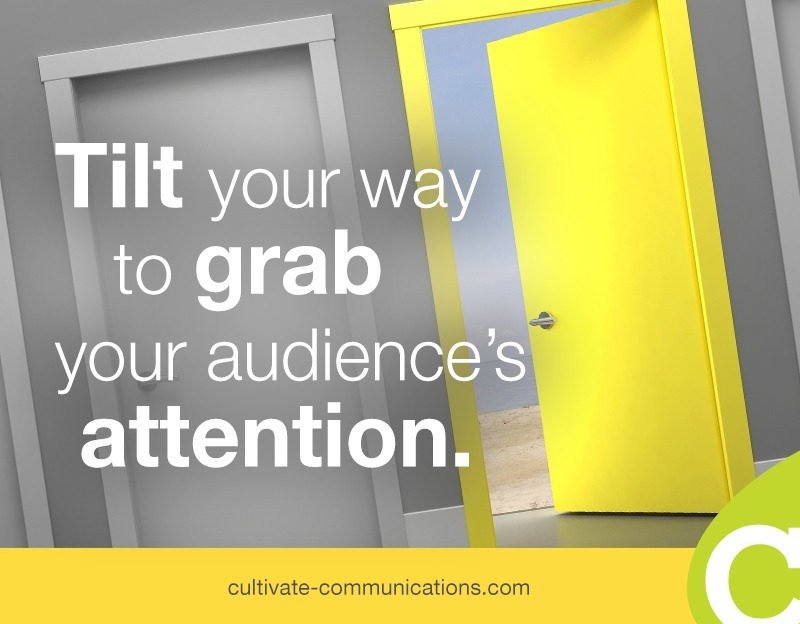 How can you change the conversation in a way that’s so compelling that it will command the attention of your target audience? Most companies go very broad when defining their target audience; that usually means they have a lot of competition. Instead, think narrow: Is there a sub-niche within your main audience that you ought to learn more about and target with your content? Your goal is to become the recognized expert within that sub-niche. Should you create a new product category? It should give you greater visibility than introducing another “me-too product” in an existing category. Bonus: In the short term, your brand will come to be identified with this new product category, which increases your odds of success. Take the advice of Peter Thiel, the co-founder of PayPal: “Figure out something that nobody else is doing and look to create a monopoly in some area that’s been underdeveloped. Find a problem nobody else is solving.” That’s often where opportunity hides. Which issues and topics are none of your competitors covering in your market niche? What is everyone missing? What do customers and your competitors take for granted? Can you take a stand on one of these issues? Just make sure you’ve got your customers’ best interests in mind when you do so. What “jobs to be done” are your customers faced with? What’s inadequate about the existing solutions they’re using? Look for opportunities to educate them about a more effective alternative that will elegantly meet their needs. Armed with the answers to these questions, you should be able to identify a compelling content tilt that you can use to deliver real value to your target audience and build productive relationships with them. Unlike Don Quixote, you will no longer be tilting at windmills. You’ll be winning the minds and hearts of real customers like never before.